We interfere with growth personal growth through the deceptive thoughts we entertain to explain uncomfortable emotions. We Lie! We lie to ourselves. We’re not consciously evil or deceiving; but we lie. 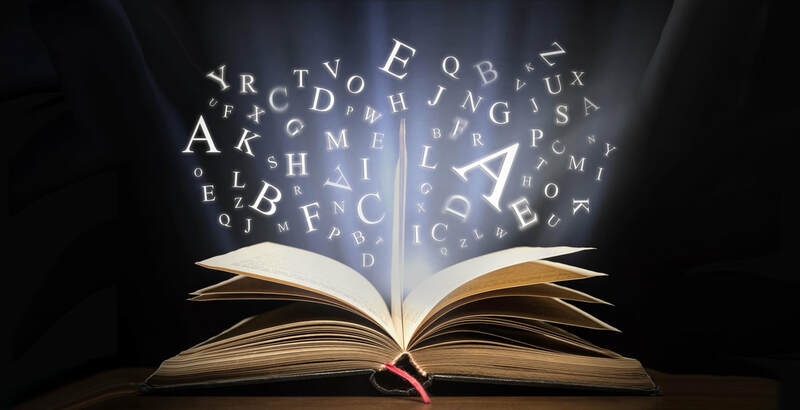 We create stories to fit the feelings, missing on broader complex happenings. Biases, destructive choices, and illogical action occurs here. We can expose these lies, pluck out their destructive impacts and flourish; but this takes strenuous effort. So, we just continue to lie. We interchangeably use ‘feelings’ and ‘emotions’ when describing felt experience. Emotions are constructions infused with meaning derived from experience, culture and language. Felt experience—feelings—are internal biological shifts that motivate action or stimulate thought. Emotions, although complex constructions operate automatically in the clandestine shadows of unconsciousness, pulling memories and combining explanations. We detect shifts in our biological mechanics and immediately the mind goes to work, creating reasons and illuminating causes. We bring the process into consciousness by focusing attention on the feeling. The mind graciously creates meaning, labels and associating causes. Hidden feelings may wreak havoc on our lives. From the blindness, we become subjects serving the unknown biological kings of our soul. We act as we are programmed to act. Invisible motivators ruthlessly dictate thoughts and behaviors pushing us down destructive paths. Because the feelings motivating action are unseen, we don’t skeptically examine their involvement. Emotions, as sometimes described, are not always guiding gems of wisdom—although they may be. Emotional reactions are learned. Past experience, especially when traumatic, scars and molds the emotions. Our reactions flow from experience. Living meanings written on our souls. These codes largely determine reactions. Violent inner-city ghettos, upper-class communities, or riotous unpredictable homes form the emotional system—implicit forces unseen and unaccounted for. When poor behaviors (motivated by those unseen codes) beget painful misfortunes, we conveniently blame outside causes (they’re salient and available). Reasons outside personal responsibility soothe the ego; by formulating explanations and claiming victimhood, we achieve momentary escape. Our blindness, however, doesn’t protect from consequences. Behaviors invite consequences. "Our reactions flow from experience. Living meanings written on our souls." Justifications simply offer a momentary mirage, protecting from the harshness of condemnation (guilt, sorrow and shame) by softening judgments. Overtime, we still suffer, consequences are independent of justifying causes. Others tire of our dodging of responsibility. We damage important relationships, limiting supporting forces. The ill-contrived behaviors leave a mark on our futures and, we establish destructive patterns of justification and blame, destroying trust, weakening relationships and burning the glorious bridges essential for recovery. The new predicaments of a broken soul accumulate. The consequences multiply, further complicating their lives. The obvious answer is to address the original sins that started the downward spiral. But this obvious answer isn’t that obvious, concealed by layers of multiplying justifications. A search begins to find new roads to need fulfillment. Dishonesty and manipulation become the tools to satisfy unmet needs, further alienating friends, family and community. Chaos triumphs, confusing action, and disrupting futures and effective choice. The lost soul is burdened with a life without guidance—a compass that no longer points to magnetic north. While sometimes these behaviors are mean-spirited and hateful, often the acts start with undetected confabulations—the automatic reasons explaining underlying flows of feeling. The story smoothly adapts new experience into a faulty framework of protecting beliefs. The confabulations create security by not disrupting positive images of the self. But unchecked the stories of the mind become the foundation of destroying deceptions, deceiving ourselves and others. Society, family and significant others are ruthlessly accused as the cause of personal failure. Safely moving responsibility of action into the court of others where we have no control. If a person believes they are courageous, then their cowardice acts are justified, excusing the shameful deeds to external causes. Self-explorations (often aided with guidance from a professional) expose hidden memories, and misguided confabulations that motivate action. 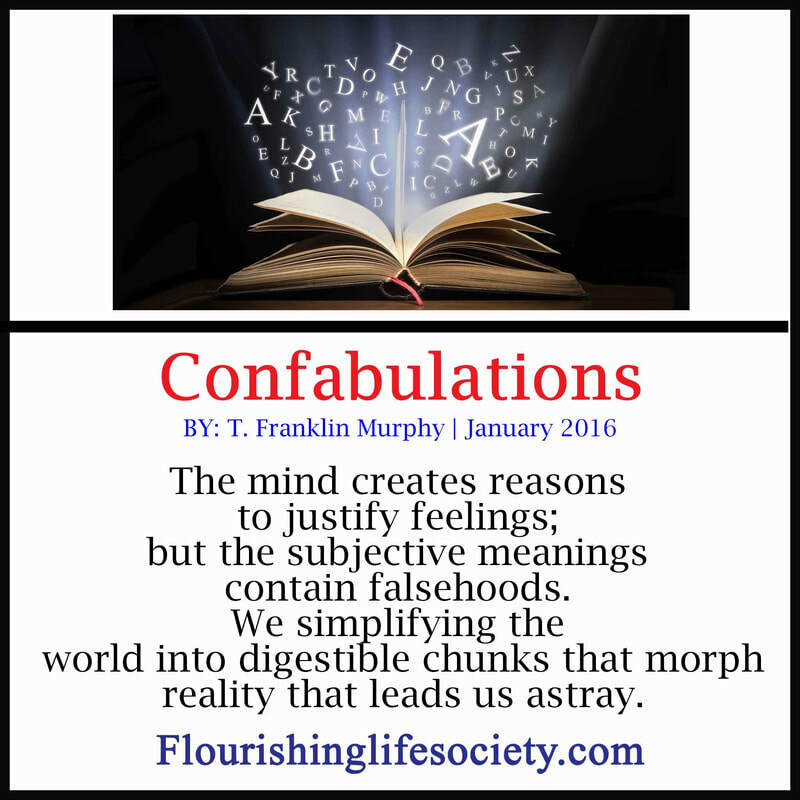 Discovering that confabulations are a figment of the protective mind, instead of an infallible reality, invites thoughtful challenges to their validity. We can discredit the ego-protecting justifications and be empowered to change. From a wider perspective, we then can address underlying problems that propel our lives in undesired directions. Consciously recognizing the emotional reactions, investigating the beliefs provoking those emotions, and then purposely challenging destructive actions is the path to freedom, loosening the chains holding us back. We can escape these painful patterns, interfering with growth and blocking hopeful intentions. Slow down, recognize the hidden motivations, determine whether they are helpful or destructive, and then choose a better path.